Cultivating shame resilience—the key to developing a sense of worth and belonging. Vulnerability as the origin point for innovation, adaptability, accountability, and visionary leadership. Our emotional armory - how we use perfectionism, numbing, and other tactics to avoid feeling vulnerable. The myths of vulnerability - common misconceptions about weakness, trust, and self-sufficiency. Discovering your vulnerability armor - recognizing what makes us shut down, and how we can change. The 10 guideposts of wholehearted living - essential skills for becoming fully engaged in life. 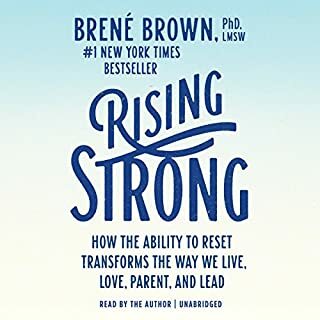 Six hours of stories, warm humor, and transformative insights for living a life of courage, authenticity, and compassion from Dr. Brené Brown. I was in awe at the beginning finiding out how fun that speecher is. The storytelling is really great and captivates immediately. The author has definitely a good and fullfying research carrier. But these speeches are about a personal interpretation that made sense to the author. Shortly: shame is a dark friend; happy people defuse its dramatic influence appropriately by self awareness and self-indulgence. Surprisingly for a doctor, no research is cited which should advise the listener to take the content as self-help tips. After 4 hours the speecher starts repeating herself and making her point while talking about the new book. Yet it was worth listening for half of it at least. 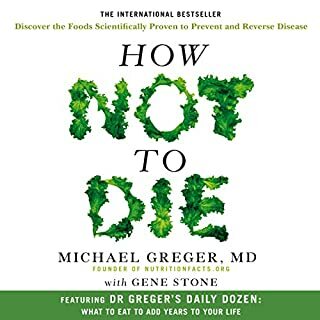 This book really helped me getting better. It’s about being yourself and accepting every part of you. If you could sum up The Power of Vulnerability in three words, what would they be? 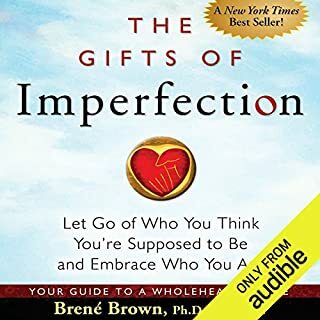 Have you listened to any of Brené Brown’s other performances before? How does this one compare? I haven't. 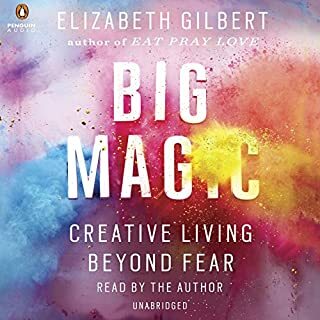 I wish she were the narrator of all her audiobooks. I want to buy more of them, but I'm afraid to be disappointed! Two things really struck me. The first was her assertion that we don't call shame "shame," and people want to avoid the subject. The second was her description of perfectionism as a "20-ton shield" we carry. I don't think reading this in print would even compare to the listening experience. I'd hear it in my own voice - and this message is something that I needed to be "told." 129 sur 134 personne(s) ont trouvé cet avis utile. 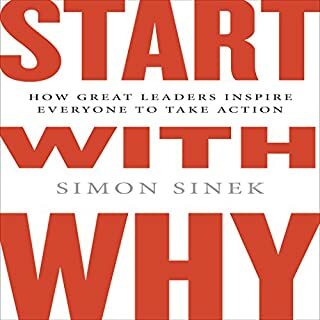 Not a book but loved it. 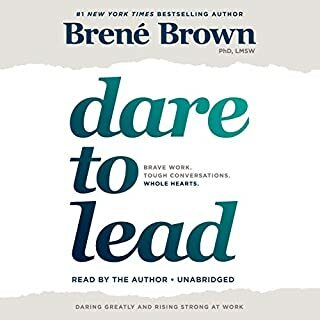 I was initially disappointed that this was a live recording of Brene Brown teaching, but ended up loving the content! 60 sur 63 personne(s) ont trouvé cet avis utile. 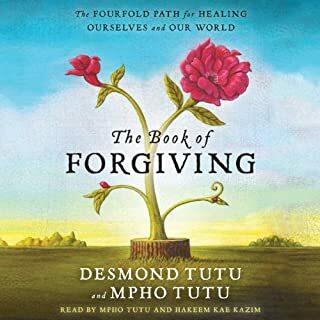 My therapist suggested this read when I was having trouble finding compassion for selfish family and friends. 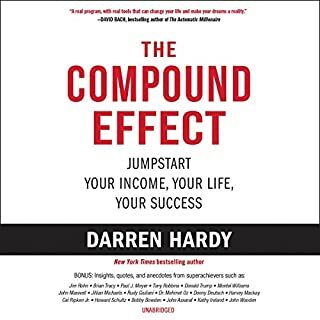 This book changed my mindset in many ways especially with issues I believed I was doing great with. 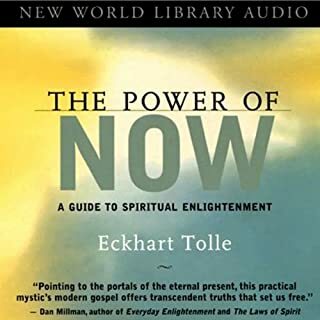 I bring up chapters from this audiobook to discuss in therapy and it has helped build on solutions and personal goals. Highly recommend!! This book has made such a meaningful impact on me and my life. I urge the listener to listen in small chunks then take the time to reflect. There were several moments that reduced me to tears. Also, I am a 46 year old male attorney. The concepts Brene Brown talks about are universal. 68 sur 72 personne(s) ont trouvé cet avis utile. Brene makes you feel better about the things you do that you were embarrassed to share with others. For me it's random grocery store dance moves and the cry that ends up a laugh. I called my best friend at various points in the book with some "you should read this, because we aren't as crazy as we thought" moments! I could definitely do a better job living a whole hearted life, so thanks Brene for providing the guideposts! 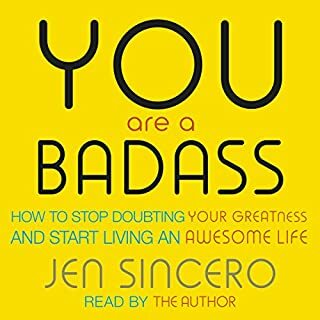 I am not entirely sure what to say about this audio book. I am still a little emotional after the end. Brene touches every sensitive nerve in my body. 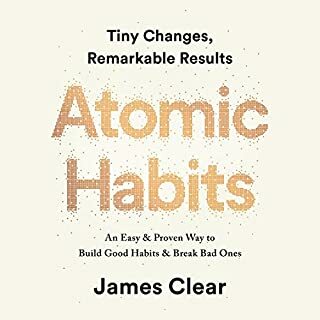 I picked up this book because of what I do every day. I coach teams at work. I coach the tech geeks on how to work together. It struck me when I saw the title, that the way they trust me is by me showing vulnerability. What I didn't realize, is all the places that this book would take me. The part about play struck such a nerve, that I ordered the book called play by Stuart Brown. I love that this seems to be a recording of a seminar. It makes you feel like you were there because she speaks with full emotion. I will listen to this again and order daring greatly. And hope that I get to see brene speak in person someday. 46 sur 49 personne(s) ont trouvé cet avis utile. 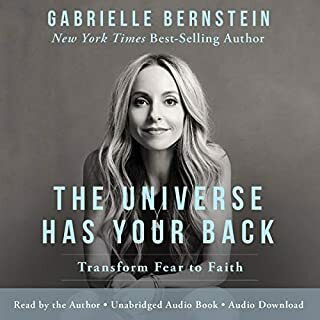 The beginning of the audiobook starts off with a recording of the author's appearance on TED Talks. Instead of listening to it, watch the video so you can see her expressions and gestures (which adds to the humor in the story). 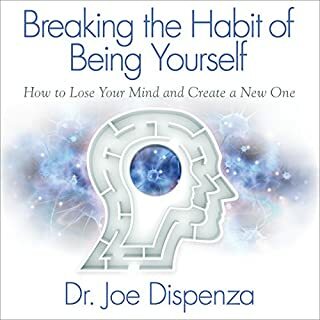 If you've ever made a mistake and beat yourself up for it, this book is for you. So essentially, this book is for everyone. Instead of complicating our lives and guarding our insecurities, we can learn to accept that we're all human, appreciate our courage and frailty, enjoy life more fully, and live more authentically. 42 sur 45 personne(s) ont trouvé cet avis utile. What made the experience of listening to The Power of Vulnerability the most enjoyable? 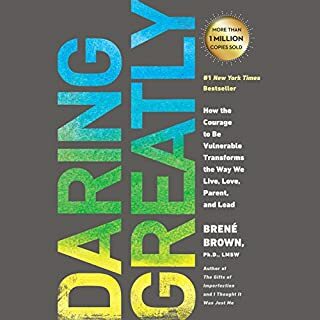 This book as Brene Brown's other book has help me understand why things come to my mind as they do. Being a man that's not wired to think about feelings and not even talk about them! This with her other books has realy help me to take and not be afraid to say how I feel about what ever. Thanks so much to Brene Brown for your work! and please don't stop looking and doing what you love. I loved this talk. I have listened to, "The Gifts of Imperfection," "Daring Greatly," and her 2 hour talk on parenting. I think this talk is the best overall. If you only buy one of her downloads, I would buy this one. She covers all the topics in the other books. The format is great, Brene is a brilliant speaker. When you listen, it sounds like she is talking to you personally, not to a room full of people. (You can hear people laugh and clap, but the audio is recorded well and it is not annoying.) 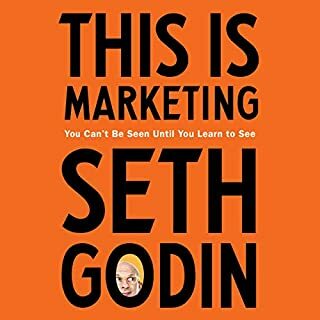 A great listen! One I will refer to many times when I need some guidance and an extra boost of confidence. Thanks Brene! 106 sur 117 personne(s) ont trouvé cet avis utile. What did you love best about The Power of Vulnerability? 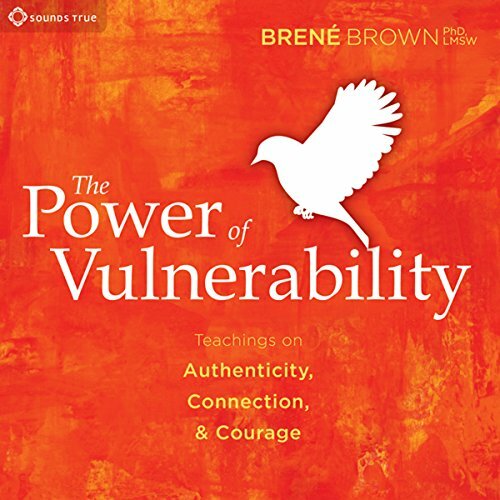 Brene Brown explains vulnerability and demonstrates how vulnerability manifests in people. Then, she shares tools you can use NOW on how to grow and work with it instead of fighting it. The tools shared are now in use with my daily living. Even deploying one tool at work has given me insight of how I was allowing others to affect me - demonstrating what's acceptable and what is not. Brene Brown comes across as "just one of us" and we are all in this boat together. It doesn't matter your economic status, family status, or anything else. Her stories were true and genuine - authentic! We are all human. I loved this about her presentation and demeanor. Most importantly, there was no condescension, just uplifting messages. Thank you! Yes and No. I think taking the book in chunks is better. This allows you to reflect on the message. AND, it was so good, I could sit one day and just listen. This is definitely in my replay library. Thank you for this opportunity to listen to your messages and how to work with vulnerability in life. There were a lot of "aha" moments - and they say awareness is 90% of the journey. Thank you for sharing some tips and messages to help with the other 10% of the journey. truly eye-opening and potentially life-changing! In her talks, Brené Brown reveals so many insights about the human nature. Listening to this is highly empowering and inspiring. To me, it is a great incentive to fully be myself and allow vulnerability in order to truly live the life I wish for. Sehr aufschlussreich über ein Thema, welches heutzutage leider untergeht. Vieles hat man schon Mal gehört oder man kann es sich denken, es aber nochmal von einer Expertin zu hören, mit interessanten Hintergründen versehen, ist schon noch ein Unterschied. Der aufgesetzte Ernst bei vielen, bloß keine Schwäche zeigen, ist einfach super old school. Dieses Thema sollte bekannter werden. Ich bin über ihren ted talk auf das Buch gekommen. Brené Browns witzige Art und Weise macht es einem leicht sich in Situation einzufühlen und gibt einem nicht das Gefühl, dass sie ein ganz normaler Mensch ist, von dem man gerne Ratschläge annimmt. Bei mir hat sie total ins Schwarze getroffen und mir einen Spiegel vorgehalten. Gleichzeitig hat sie es aber auch geschafft mir Wege aufzuzeigen, die neuen Erkenntnisse umzusetzen. Ich würde dieses Hörbuch wirklich jedem empfehlen. 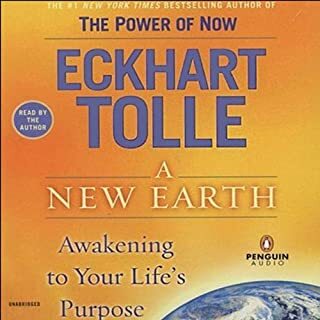 I truly loved the audio book. Brené Brown is such a great speaker. 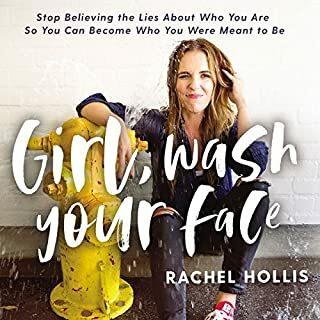 I enjoy the way she talks about shame, vulnerability and the effects on us. Guter Workshop als Hörbuch. Toll! 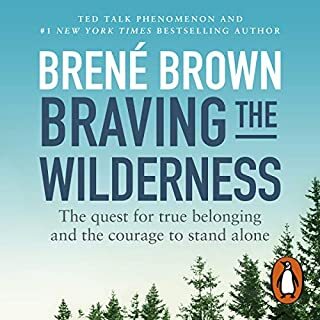 Die Ideen verschiedener Bücher von Brené Brown kommen im Workshop zur Sprache. Ihre locker Vortragsweise macht das Hören unterhaltsam und nicht nur lehrreich. Ihr Englisch ist klar und deutlich und erleichtert das Hören in einer Fremdsprache.